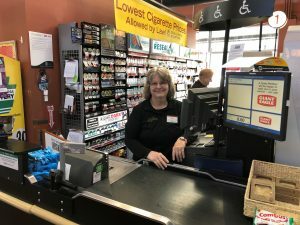 Meet Terry, Giant Eagle Express Team Member in Harmarville, PA! 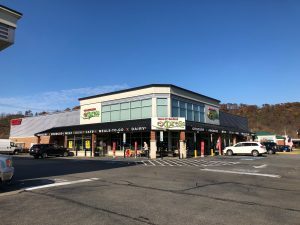 You are here: Home / Meet Terry, Giant Eagle Express Team Member in Harmarville, PA! 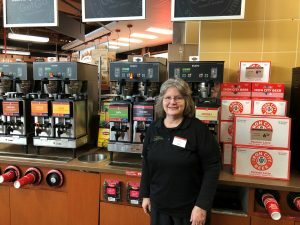 / Team Member Stories / Meet Terry, Giant Eagle Express Team Member in Harmarville, PA! 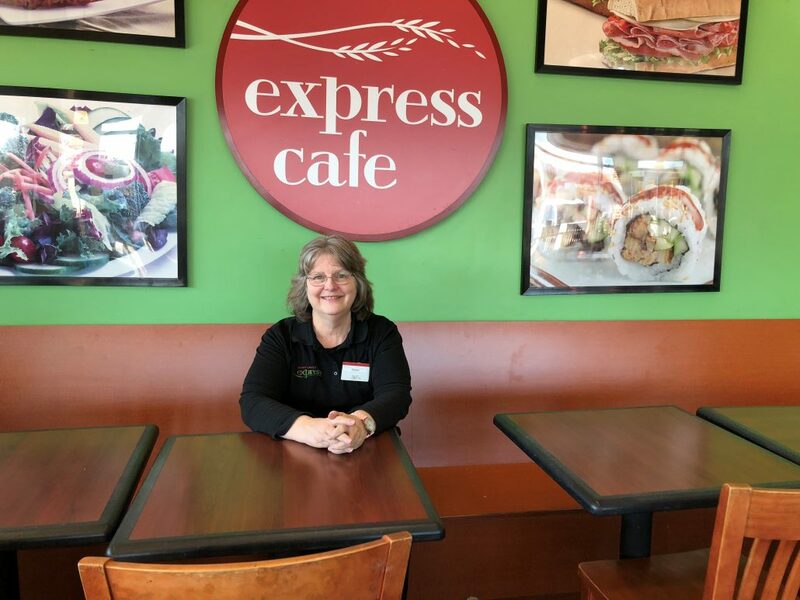 Home > Meet Terry, Giant Eagle Express Team Member in Harmarville, PA! 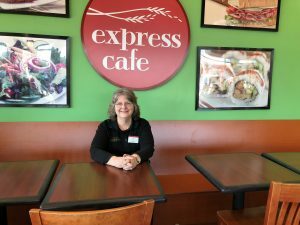 > Team Member Stories > Meet Terry, Giant Eagle Express Team Member in Harmarville, PA! 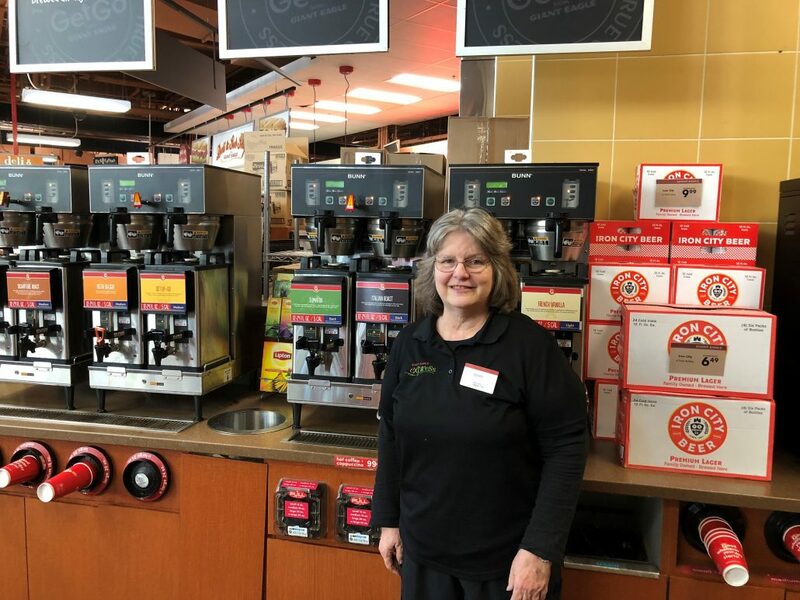 This week’s #TeamMemberTuesday is featuring Terry, Team Member at our Giant Eagle Express in Harmarville, PA. Terry has been a Team Member for four years and she takes pride in building wonderful relationships with our guests and her fellow Team Members. Get to know more about Terry here. How did you come to work for Giant Eagle? In January, I’ll have worked here for four years. I started out waiting on customers, running the cash register and that sort of stuff. I worked for a dentist for almost 40 years but during that time I also worked in a cutlery store, so I can sell. It’s nice meeting our customers. I get to be part of the lives for just a little bit and I’ve had the chance to get to know some of them and what’s going on in their lives. I’m to the point where I know when someone’s having a baby or there’s a wedding in their family or a member of their family is sick. We’re selling them their groceries, while we are getting to know them. What do you love about Giant Eagle? I want to stay here forever, but I also can transfer. For example, I have family in the New Castle area and if I wanted to, I could transfer to a store there. I’m not locked into this one location. I can move to other places and don’t feel stuck here. I’ve made friends here. My fellow Team Members are my friends. The opportunity to go to social events outside of work has been great. We all get to know each other, and it feels like an extended family. What values are important to you at a job? How do you experience those values here? Being appreciated is huge for me. They know they can count on me. They know that when they schedule me at 5:00 a.m., I’ll be here a 4:45 a.m. They have a level of respect for us as Team Members, and in return we show that same respect to the Company as an employer. They know that if I’m calling off, I’m probably on my way to the ER. I don’t call off without a serious reason. I have a responsibility to show up. Keyword search tip: If searching by Job Req/Ref ID, please use the full 7 character ID which includes 5 numbers & 2 letters. (Example 10010BR). Corporate Candidates or All Others. Click for reasonable accommodation information. Click the button below to receive information about opportunities with Giant Eagle. If you need a reasonable accommodation for any part of Giant Eagle’s employment process, please contact MyHRConnection at 888-892-2248 or myhrconnection@gianteagle.com. Your request will be kept confidential and shared only on a need-to-know basis. 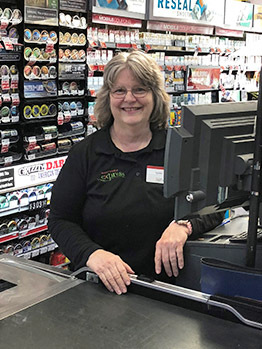 Meet Karla, Category Buyer at Giant Eagle Introducing Caiti, Assistant Marketing Manager at GetGo!